Almost every part of the teak tree trunk is utilised when furniture is made from Eco-Teak. Its mixture of young, lighter sapwood and older, darker heartwood leads to a unique, vibrant kaleidoscope of colours. When left untreated, weathering during outdoor use gradually transforms the colours into a uniform pale grey. The fittings and screws used for Ploß®’s Eco-Teak furniture are always made of galvanised iron. With its range of Eco-Teak furniture, Ploß® & Co. is ensuring that high-quality timber is used in an ecologically sensible way, thereby sustainably conserving valuable resources. Teak furniture is extremely popular particularly for garden furnishings, because of its robustness and premium quality even after exposure to the elements. Eco-Teak now offers a way of achieving eco-friendly sustainability during the manufacturing process in addition to the natural advantages of teak wood. Garden furniture made of teak wood is very popular, but is sometimes hampered by a poor reputation in terms of its ecological sustainability. This is why Eco-Teak is now a new option, offering sustainable forest management and taking action against malpractice in forestry operations. Certification systems ascertaining sustainability have also been set up to achieve this, such as the FSC® or SVLK. When you buy furniture bearing these seals, you can rest assured that the teak wood used for your garden furniture comes from sustainably managed forests and fulfils all your expectations towards resource-friendly manufacturing. Teak wood is one of the most valuable types of timber in the world. The wood is particularly robust and sturdy, and because of this it is often used for building boats and making furniture. 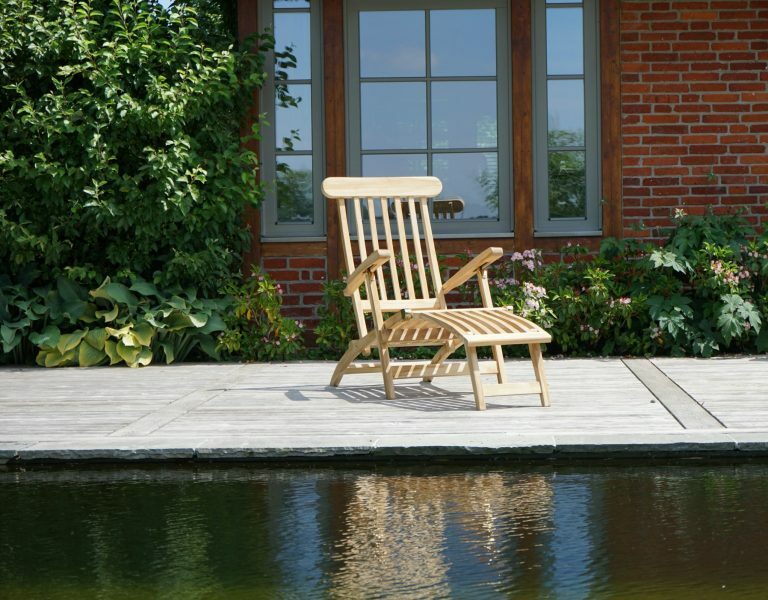 The wood’s enormously long lifetime of up to 100 years makes it particularly attractive when making furniture – especially garden furniture, of course. Its natural oil and resin protect the fibres from drying out and keep the wood pliable, preventing it from breaking. So the wood more or less looks after itself. Apart from these appealing qualities, the wood is also acid and flame resistant. So when barbecuing at home in your garden, you do not have to watch out for flying sparks. The wood’s naturally attractive hue and its even structure lend it its characteristic look. 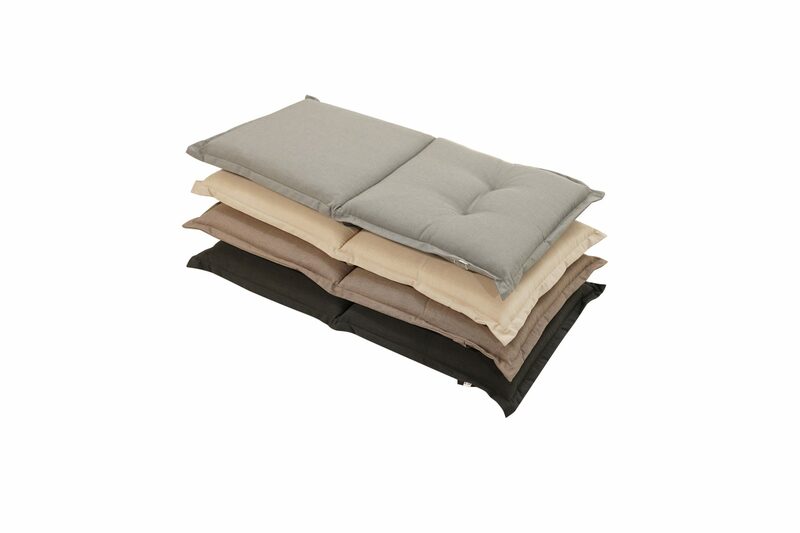 Being very heavy, it is often combined with other materials, such as stainless steel, poly-rattan or iron. 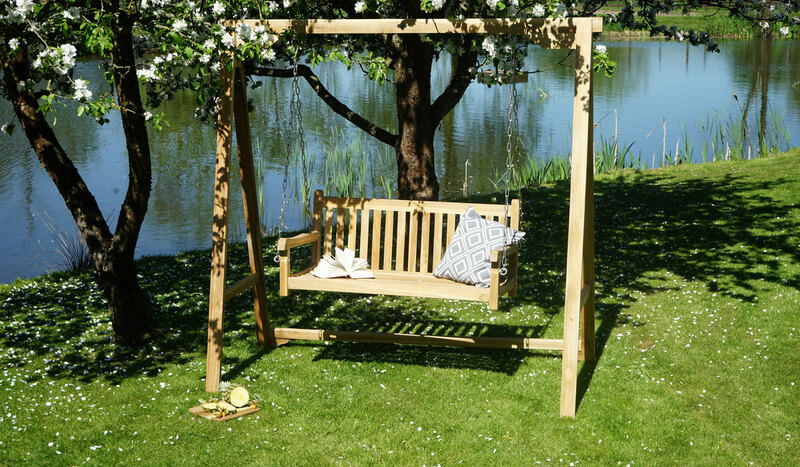 This gives rise to wonderful, individual pieces of furniture which are perfectly suited for furnishing your garden thanks to their high quality and appealing look. Having the same properties as conventional teak wood, Eco-Teak is equal in every respect to conventional teak in terms of its quality and workmanship. It therefore combines the popular properties of widely purchased garden furniture with sustainable forest management, thanks to its extensive utilisation of the resources. Eco-Teak is lasting and almost indestructible, weatherproof and easy to look after – just like teak. Its high content of natural oils means that the furniture maintains its high quality despite the wind and weather, which is why we use it to manufacture our high-quality garden furniture. The different environmental factors give this furniture its special markings and will make it a real eye-catcher in your garden assembly. In principle, teak wood does not require any special care, which is why it is so popular. Despite weathering, garden furniture made of teak maintains its characteristic dark colour. Untreated wood can, however, form a thin, silver-grey layer, known as a “patina”. This can easily be removed by rubbing the furniture down with the rough side of a stainless steel pan scrubber or similar products. If you want to prevent the wood from changing over time, you can also treat it with a suitable teak oil, to preserve its colour. After cleaning the furniture, the oil can easily be applied in a thin layer using a cloth, brush or sponge. 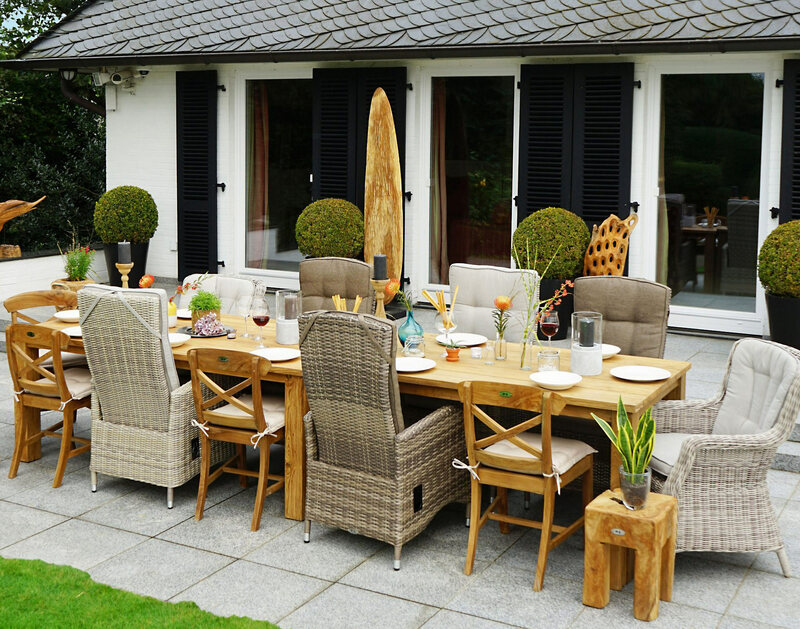 Untreated teak furniture can also be left outside all winter without detriment. In the case of oiled furniture, it is a good idea to store it under a roof to ensure the oil does not degrade. Only storage in heating cellars or other hot rooms is not recommended, because this will lead to the wood drying out and ugly cracks may form. South-East Asia is the largest source of high-quality teak products. Aside from the FSC®, the so-called SVLK (Sertifikat Verificasi Legalitas Kaju) system is also in place there to ensure the legality of the timber industry’s operations. Strict and independent certification and monitoring systems try to ensure more sustainable timber processing. As in the case of Eco-Teak, these procedures ensure that high-quality timber is processed in ecologically friendly ways. This allows the sustainable protection of valuable resources to be achieved, contributing in the long term to controlled and sustainable forest management. Ploß® With more than 25 Years of experience, Ploß® is one of the market leaders in the field of teak furniture and meshed in Germany and Europe.